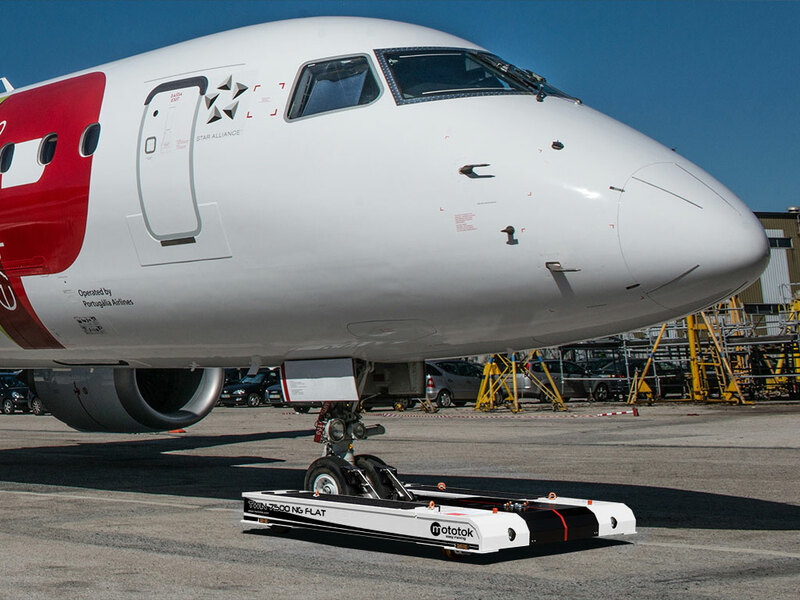 The world's most compact tug suitable for all aircraft up to 85 tonnes. 4 different models available for aircraft up to 39, 50*, 75* and 85t (*also available as our model „Flat“ with extreme low height). Versatility, low operational cost and ease of use. The loading and operating process is carried out with the utmost security and precision. In addition, it runs fully automatically on many models such as the TWIN. 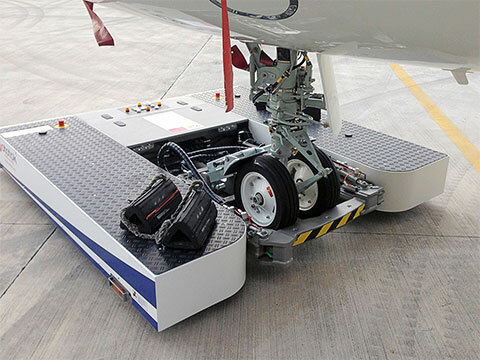 Thanks to the hydraulic nose wheel paddles Mototok holds the nose gear in a safe and fixed position. 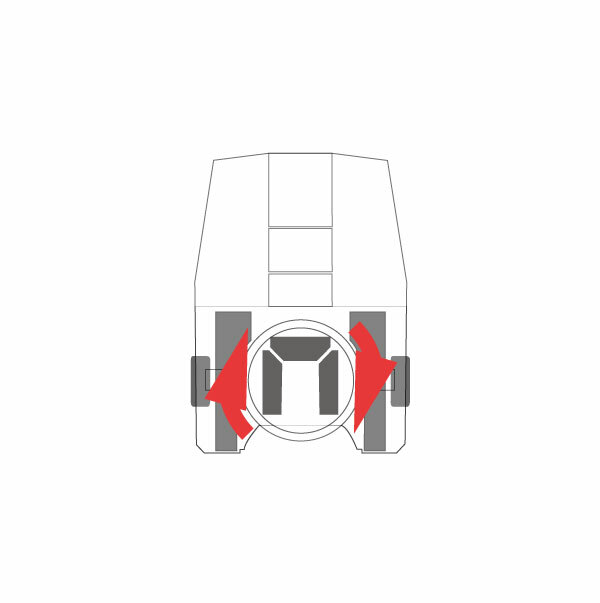 This feature prevents effectively the nose gear from slipping out of the nose wheel opening of the Mototok. So a „Brakeman“ in the cockpit who stops the aircraft in this case is not necessary. 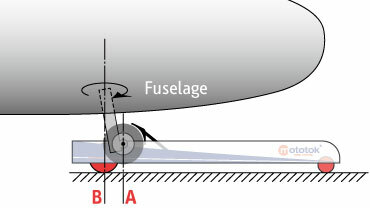 A nosewheel is basically offset in order to remain safely on track during take-off and landing. 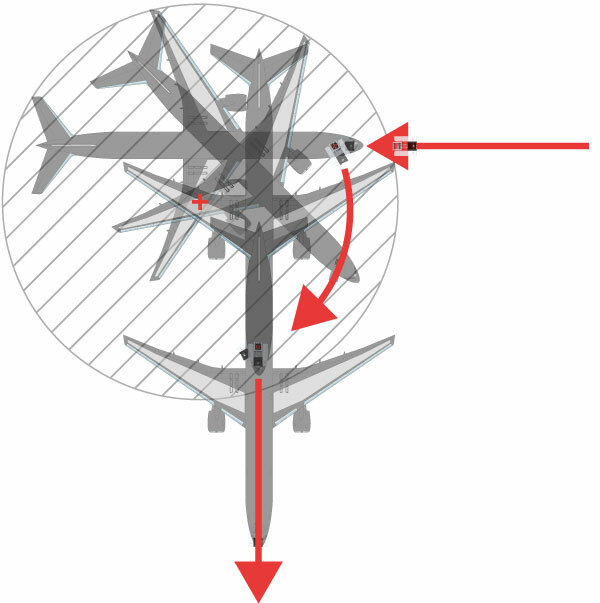 Due to this, ground position point A is not identical with construction related axis B on the landing gear. Due to this design-related inclination of the nose wheel suspension, the nose wheel tilts sideways during a rotation of the Mototok. 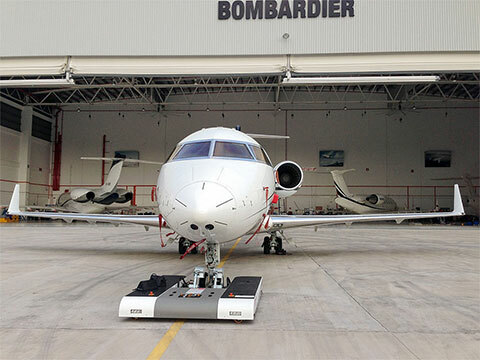 The hydraulic safety paddles automatically compensate this and gently fixes always the nose wheel securely in position. These safety features, combined with the ease and convenient usage, distinguish the Mototok from its competitors. Maneuvering with a towbar means “steering by moving“. 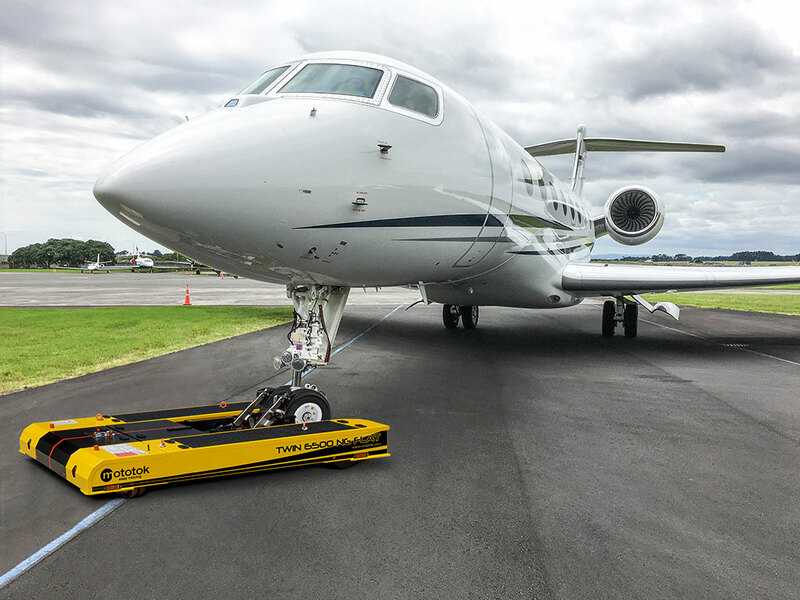 Turning the nose gear and moving the aircraft are two inseparable motions when using a tow bar. 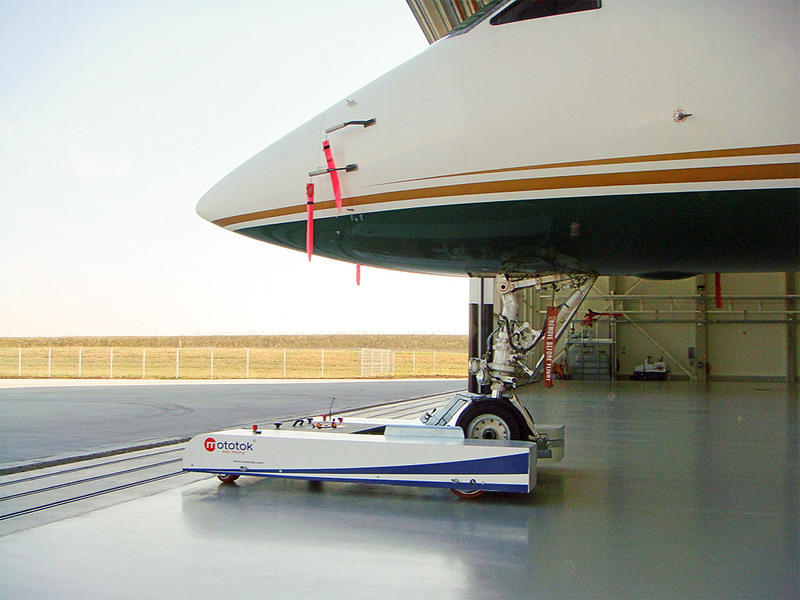 Turning the nose wheel is only possible when the aircraft is moved backwards or forwards. 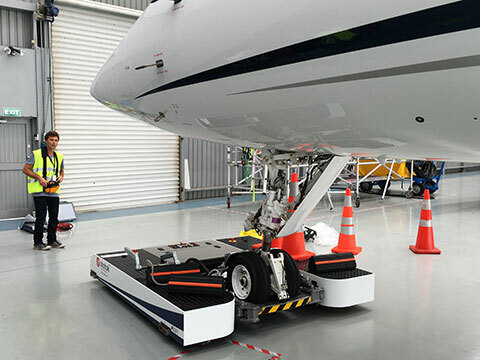 The aircraft has to be moved several metres for the nose gear to turn and move the aircraft into another direction. This in turn increases the space needed for extensive manoeuvering. This principle means also “steering by moving“. 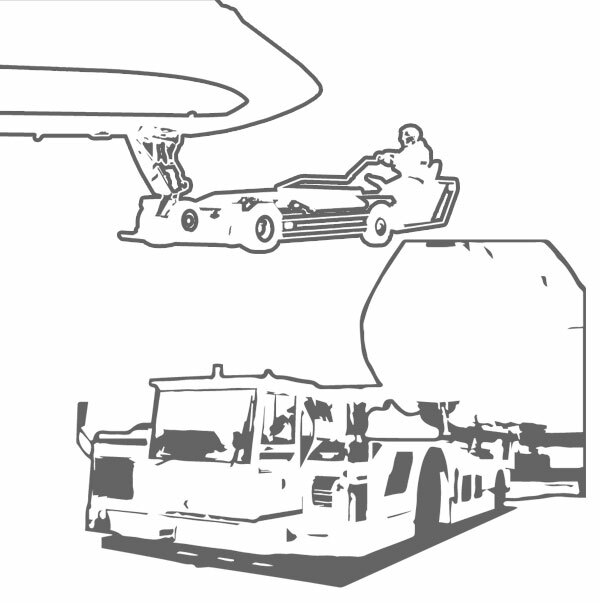 The space requirement for maneuvering is approximately the same as with using a tow bar. 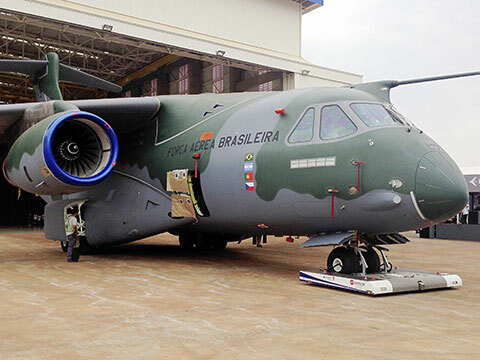 This type of tug loads the nose gear on a rotary table. Undefined behavior of the free rotary table whilst pushing the aircraft. During pushing, the rotaring table has to be fixed in position. So the assumed advantage of an oversteering protection thanks to the free rotation of the table is nullified. 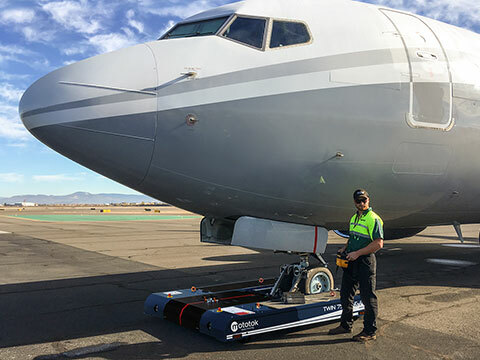 Moving an aircraft the innovative way – with Mototok! Manouevering with Mototok is the easiest by far. The fuselage and wingtips remain in position whilst turning the nose gear on the spot for manoeuvering. 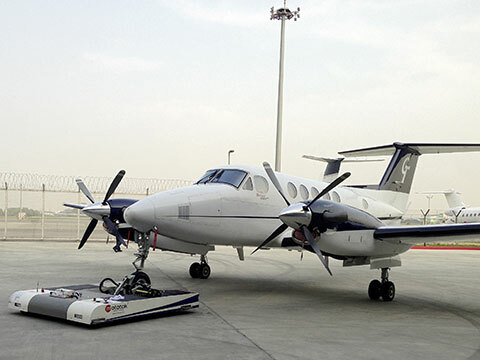 With Mototok both turning the nose gear and moving the aircraft are two completely different movements – the deciding advantage of the Mototok tug sytem. The result is a minimum requirement of space whilst shunting the aircraft. 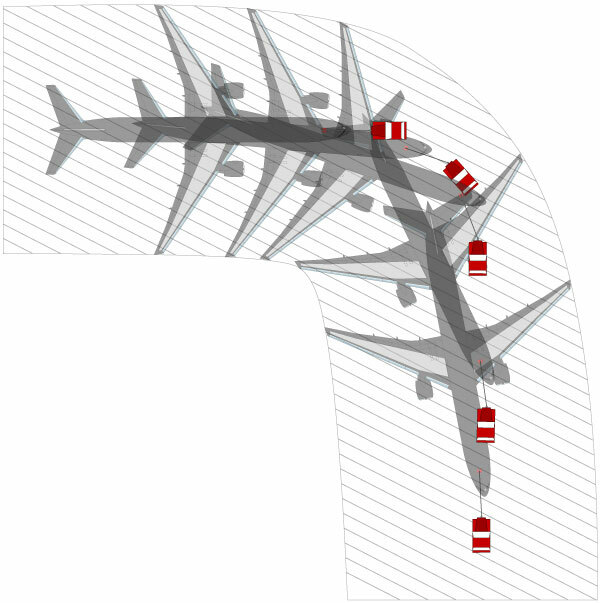 This example shows that turning an aircraft by 90° reduces manoevering space to a circle. 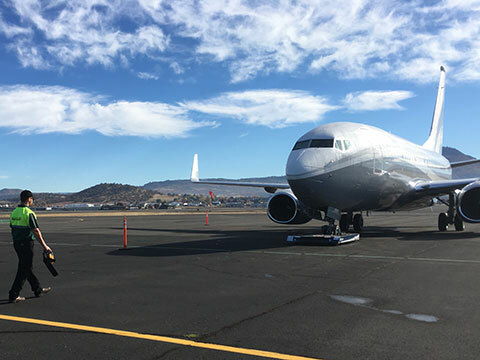 Loading the nose gear is as simple as tapping a button on the remote. 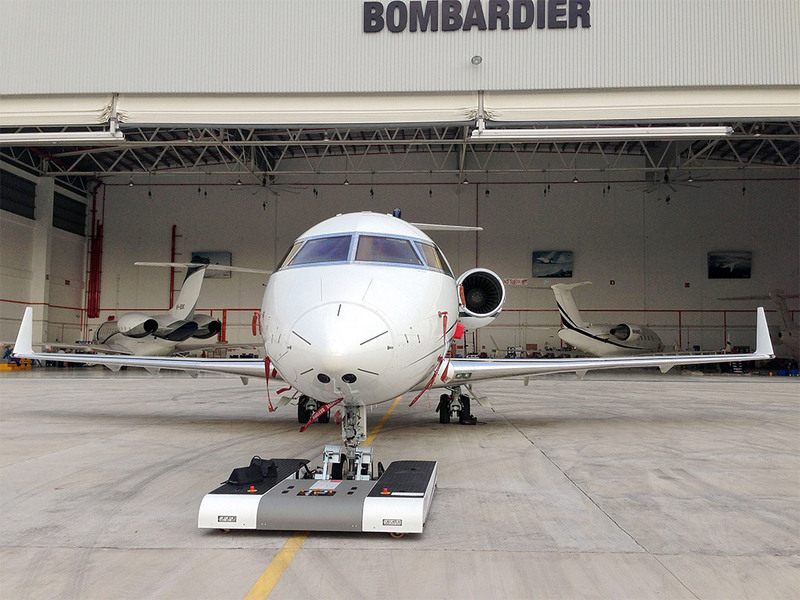 Docking takes a matter of seconds from the rear or front of the nose wheel. Simply drive the Mototok up to the nose wheel. 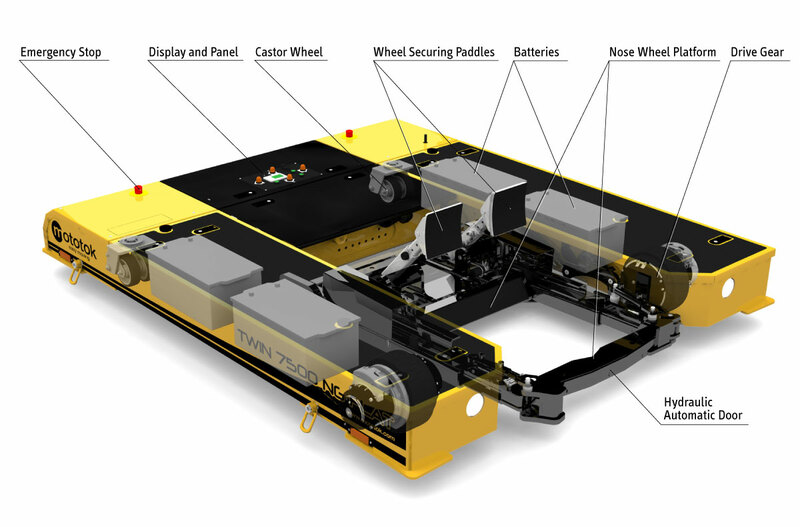 The wheel is then hydraulically fixed firmly in position and raised – ready for take off! All this with no awkward strap, no inconvenient winch. No bolts or tools are required. 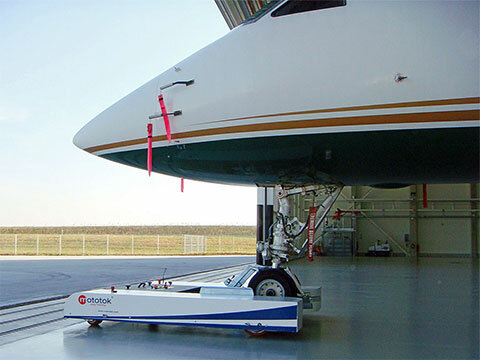 This is our specialist for aircraft with a nose wheel width of up to 1425 mm.